When we crafted our first dryer, over 70 years ago, we simply needed a dryer that worked – we didn’t have time for anything less. We needed a dryer that was reliable, efficient and built with the understanding that capacity is king. So, we built one ourselves. As owner-operators of the same equipment you use we understand your daily struggles. We’re proud to offer a line of dryers with unmatched durability, performance and efficiency. We continue to craft the toughest, longest lasting dryers out there. For you, and for us. That’s Thompson tough and we’re sticking to it. Get to know our line of Torrefiers. 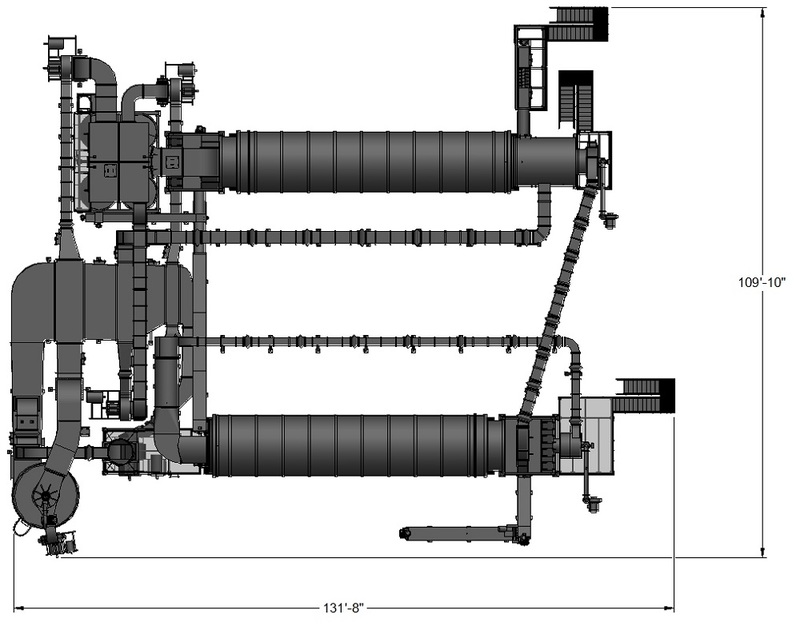 The proprietary design of the Konza Wapiti System offers wider feedstock choices, lower operational costs and the cleanest exhaust possible. With a high-yield production of 100,000-tonnes per year in a single unit (assuming a 50% starting moisture content Torrefied to 2.2% moisture content) the equipment is designed and fabricated to the same stringent criteria that’s resulted in Thompson systems running continuously for more than 60 years. QUESTIONS? WE’RE READY TO TALK WHEN YOU ARE. The Wapiti is the first step in being able to utilized renewable fuel sources on a large scale. Torrefied biomass has not been available at the quantities necessary for use in power plants until now. Thompson through its association with Konza Renewable Fuels is proud to offer the best torrefaction technology in the market. Thompson offers two torrefaction systems to meet your needs; the 100,000-tonnes system, and the 50,000-tonnes system.